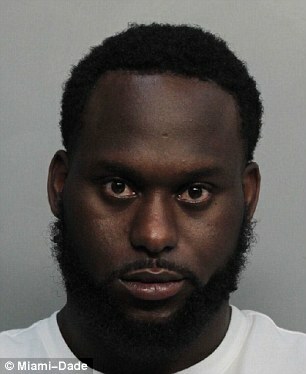 Matt Elam, a safety for the Baltimore Ravens, was arrested on multiple drug charges in Miami in the early hours of Sunday morning. Around 3:45am, Miami-Dade county police pulled Elam over for driving recklessly, and discovered 126 ounces (7.8 pounds) of marijuana, and three grams of oxycodone in his possession – about 30 pills worth. The 25-year-old now faces three felony counts for possession of a controlled substance, possession of more than 20 grams, and intent to sell. It’s not the professional player’s first run-in with drugs, after he was suspended for one game in 2015 for breaking the NFL’s substance abuse policy. 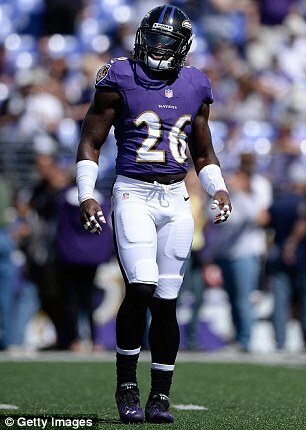 The Ravens decided not to renew his contract for the 2017 season, making him a free agent as of next month, the NY Daily News reported. 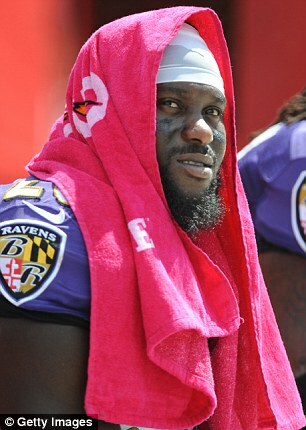 ‘We are aware of the arrest of Matt Elam,’ the Ravens said in a statement. He was the team’s first round pick in 2013, and when he signed his four-year contract, his average annual salary was listed at $1,691,751. That guaranteed him $5,439,229 during his time spent with the Ravens. is now being held on a $15,500 bond.